Fiscal 2017 was an extremely challenging year for the U.S. Postal Service, its annual results showed on November 14 – and the outlook remains gloomy, given mail trends and its own significant funding needs. Mail revenues fell in the twelve months ended September 30 and its volumes were down significantly on a comparable basis, in a marketplace that is changing beyond recognition due to e-commerce trends and shifting dynamics for mail demand in the US, as well as elsewhere. “Our financial situation is serious, though solvable,” Postmaster General and chief executive Megan Brennan said in its annual report. 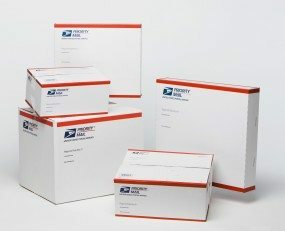 Letter mail declined by “5 billion pieces”, and the drop comes at a time when management actions “along with postal reform legislation and regulatory changes (are) critically needed to address declining volumes and changing mail mix”, the post office said. To call the situation challenging would be an understatement. Meanwhile, its business model, too, has also come into question, given the subsidies it grants to Amazon and other retailers. Headline figures by product show the extent of the problem. First-class mail revenues fell 6.9% to $25.6bn from $27.5bn, with volumes down 4% to 58.7bn, while marketing mail sales were $1bn lower, down 5.6% to $16.6bn in 2017, with volumes falling 3% to 78.3bn. Combined revenues for first-class and marketing mail totalled 60% of group turnover last year, which stood at $69.5bn (down 2.7% once certain accounting estimates are taken into account). By contrast, shipping and packages volumes surged 11.7% to 5.7bn, boosting revenues, which rose to $19.4bn from $17.4bn one year earlier. Finally, sales and volumes for the “international” and “periodicals” categories were unchanged. The net loss for the year was $2.7bn. Costs fell against the prior year, but failed to mitigate flat revenues. However, losses halved compared to fiscal 2016, given a decrease in net losses of $2.8bn from almost $5.6bn one year earlier. “Of this decline in net loss, $2.4bn was the result of changes in interest rates, outside of management’s control, that reduced workers’ compensation expense compared to last year,” it said. The controllable loss for the year was $814m, “a change of $1.4bn, driven by the $775m decline in operating revenue before the 2016 change in accounting estimate, along with the increases in compensation and benefits and transportation expenses of $667m and $246m, respectively”. Aside from headline figures, its gross cash position of $10.5bn almost equals its debts ($10.1bn) that are due within a year, but that excludes $3.1bn of unfunded retirement benefits. The group generated $2.5bn of free cash flow in fiscal 2017 – and, on a positive note, its gross cash position has grown significantly in the past two years. Yet certain unfunded liabilities remain problematic. In 2017, the Postal Service Retiree Health Benefits Fund (PSRHBF) “began funding the Postal Service’s share of retiree health benefit premiums, and we were to begin paying the ‘normal costs’ of retiree health benefits (i.e. the present value of the estimated retiree health benefits attributable to active employees’ current year of service) into the PSRHBF, as well as an amortization payment of our unfunded liability,” the company said. In 2017 the amounts billed for normal costs and amortisations were $3.3bn and $955m, respectively. “We did not make these 2017 payments in order to preserve liquidity and to ensure that our ability to fulfil our primary universal service mission was not placed at undue risk,” it added.